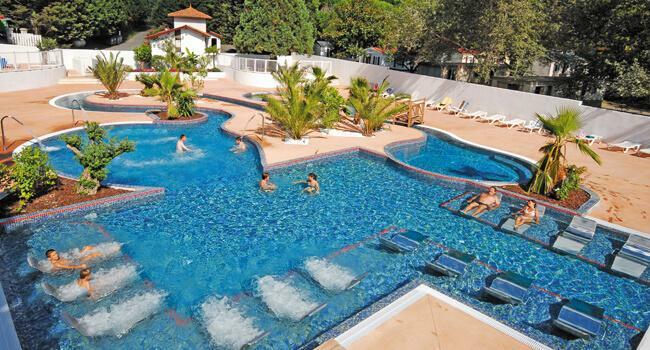 The 5 star resort of Camping Le Ruisseau truly deserves its reputation as the best in the region. 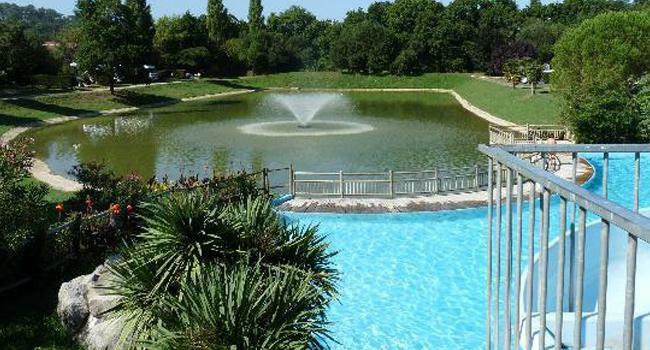 A member of the prestigious 'Castels' chain, the campsite is set in mature wooded parkland with superb views of the Pyrenees. 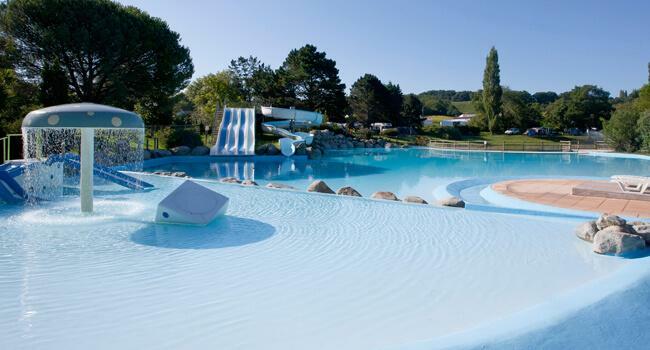 The site is the premium choice for holidaymakers in Biarritz with excellent facilities, including impressive outdoor pool complex and a water park with heated indoor pool (an entrance fee applies). Le Ruisseau offers easy access to the elegant resort of Biarritz (5km) famous for its legendary surfing. In July enjoy Europe's premier Surf Festival. Historic Bayonne with its museums, 16th century city walls, river frontage and narrow streets of shops is well worth a visit. The nearest beaches are at Bidart (2km) which also has a pretty village square with its classic Basque architecture. 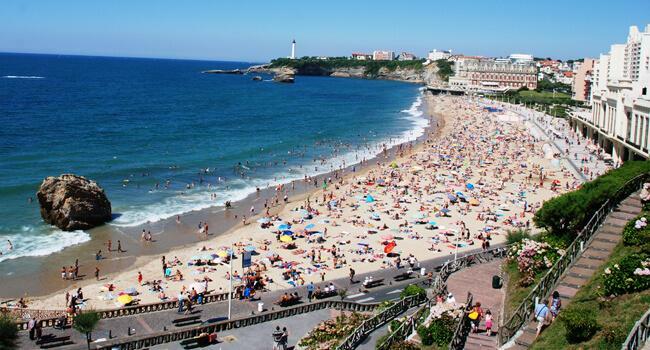 St Jean de Luz (10km) is an attractive resort with a superb sandy bay protected by a breakwater. Take a trip to La Rhune on the open carriage mountain railway which climbs 2500 feet and offers spectacular views of the mountains and coastline. Exhilarating white-water rafting is available at St. Pee sur Nivelle (30 mins) and other locations. Golf enthusiasts have a choice of several local courses. For more detailed information on places of interest, history of Basque region, beaches, restaurants etc. see our Guide to the Basque Region.